Since millions of people are using the internet every day it is really important to not be limited only by physical stores. Especially the majority of young people instead of going to the random shop, just check the online marketplaces with the same items on the internet. Some of them maybe will go to the physical store, but also some of them will order the item online. Why should you be limited to only one group then? Try to start selling online? The most important question is – where to sell online the most effectively? All the answers you may receive is our special comparison of best platforms to sell online. One of the biggest players if it comes to the selling marketplaces. Amazon was founded in 1994 and nowadays there isn’t a person who didn’t hear about this brand. Over 300 million users who buy and sell items allow you to find everything you need in online markets. The funniest thing is that the Amazon was starting as a bookseller platform. 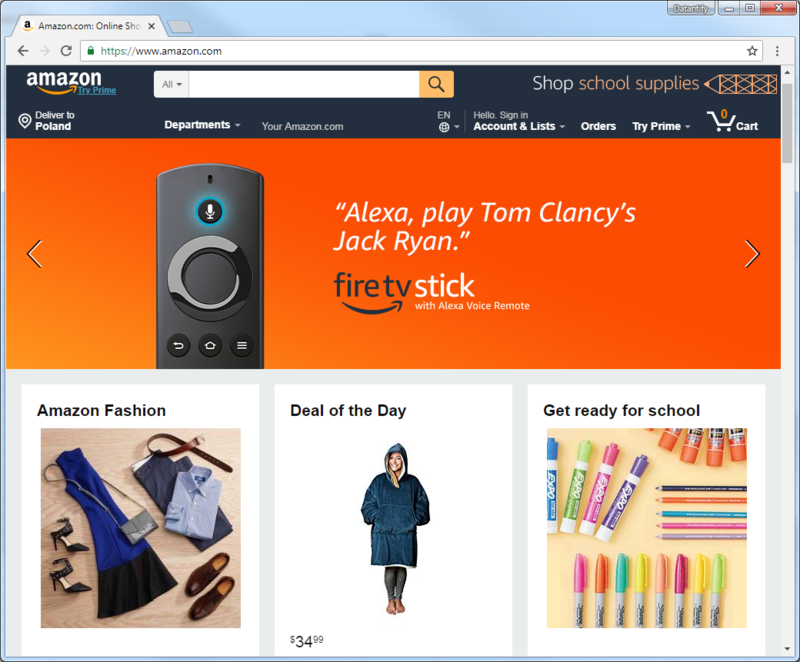 The Amazon is also an interesting online marketplace because of its politics, you have various selling contests for which you can get rewards if you are one of the top sellers. Of course, with that many users the competition is incredibly hard but if you are a good seller you can make it. Also, the big amount of the users is both: disadvantage and an advantage of the Amazon. You might ask why? It is pretty obvious – the more users you have the more people can buy your item, but the more users online marketplaces have the more competition also you have. 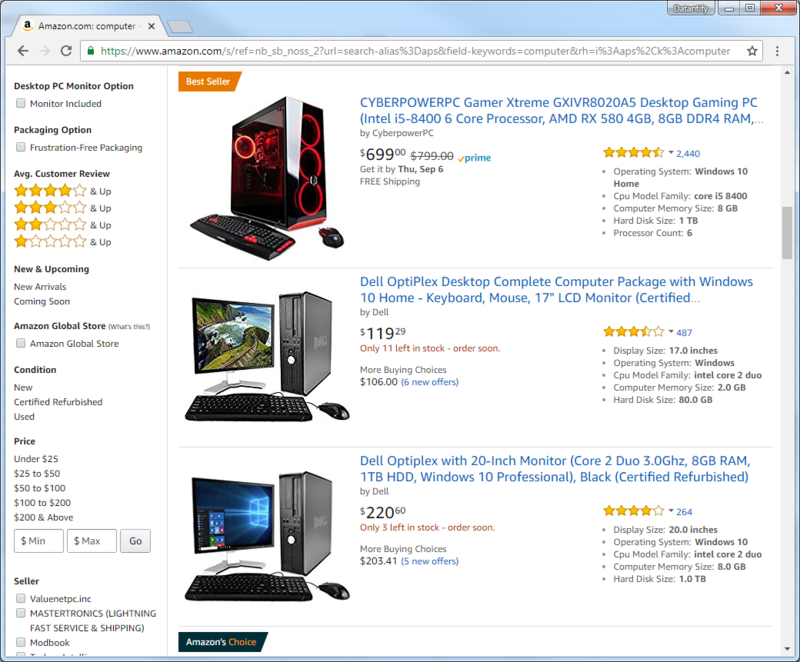 Another disadvantage of the Amazon is that for selling items you need to pay 40$ monthly + additional fees, so if you aren’t selling much probably it isn’t even worth to list some single items on Amazon, there are some better alternatives which you will notice in the later part of the comparison. The fees vary by the category so we can’t really show you how much it would cost the seller to actually sell items on this c2c website. 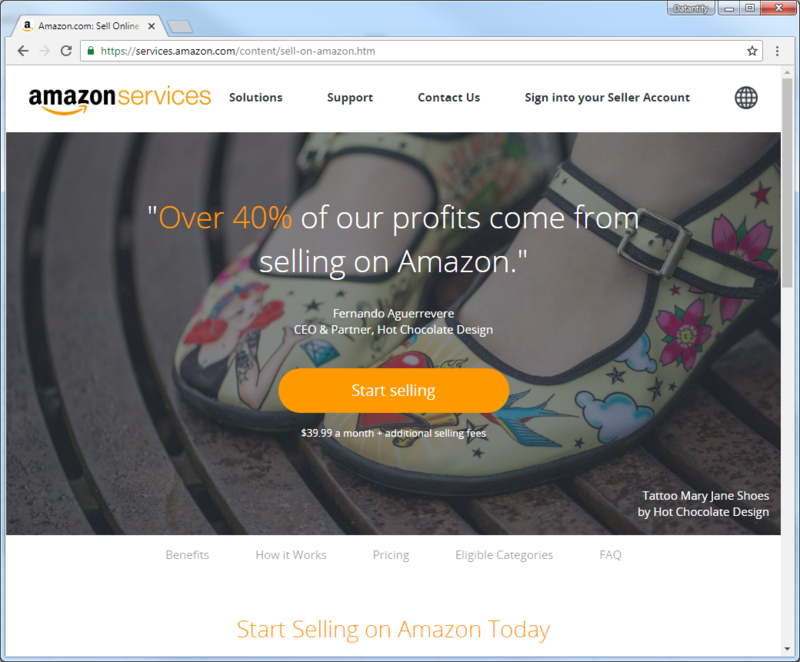 Amazon thought about the people who don’t really want to sell many items on their online marketplace and created a special individual plan which should be the best for them. 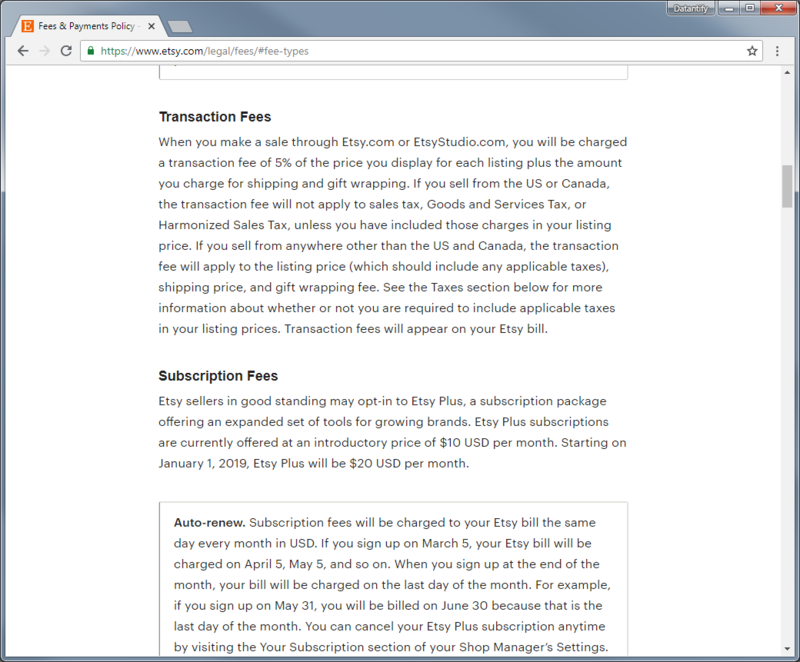 There is no monthly subscription but you need to pay 0,99$ per item sold + the fee. A nice to have a solution but of course not the best, because they will charge you anyway and for not a really low amount compared to that how much you earned. Even if the fees are not the lowest ones, we need to understand that Amazon is one of the largest online marketplaces and they also want to earn the money. The fees also help new users to think twice before they list their items, thanks to it the competition instead of being enormously huge is only big, it also helps to provide a better quality of the items, because no one with the low-quality items will risk the high fee. Another one of the largest online c2c websites. 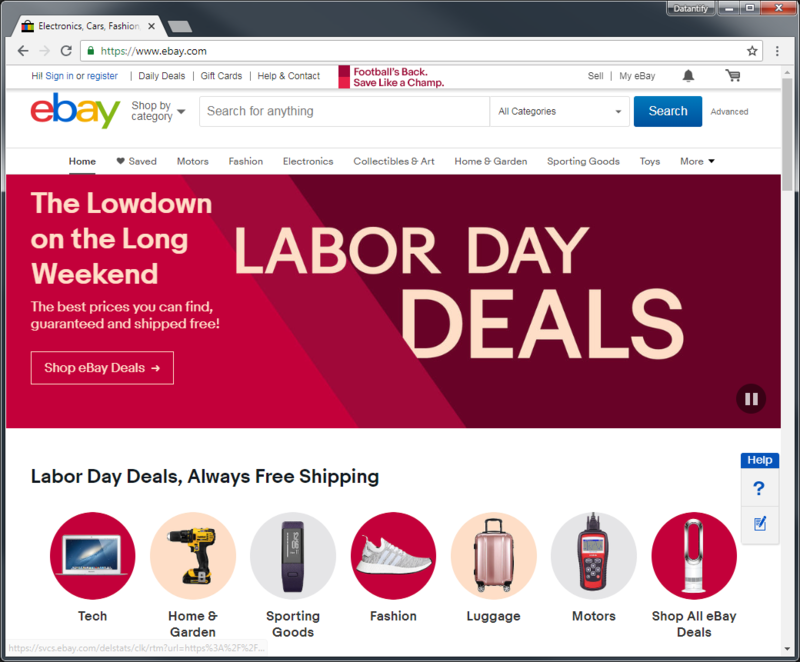 eBay platform was founded in 1995 so relatively close to the Amazon. With over 154 million active users you can find on this online selling marketplace every item you can imagine (of course in the limit of reason). 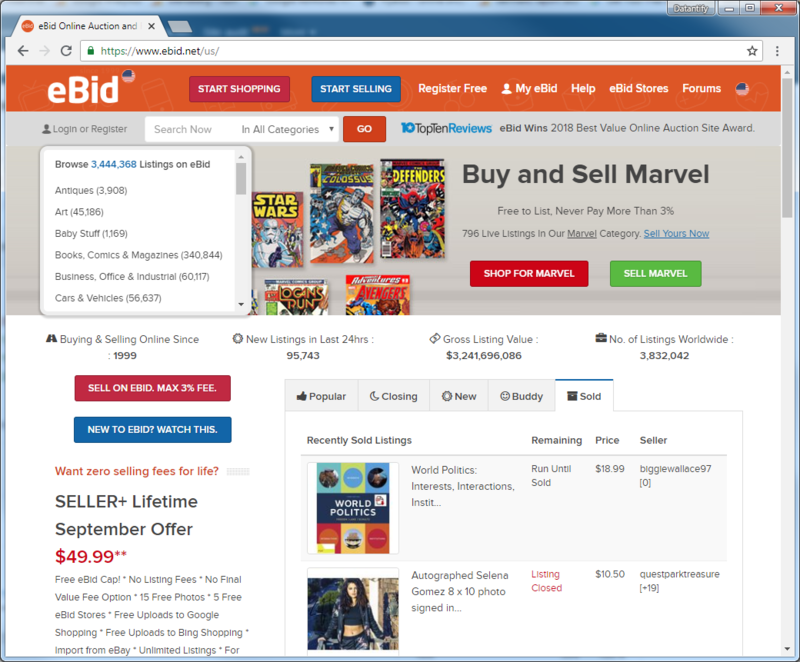 Ebay allows you to buy out the item instantly, but the seller has also a possibility to set a bid timer. 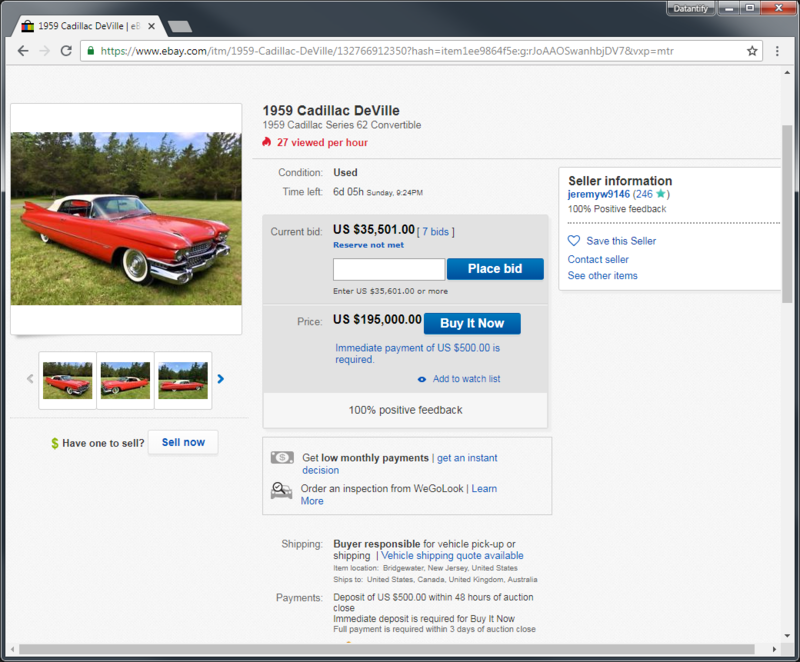 For example, the seller has listed a car with a starting price of 20,000$ and he set a timer left until the auction ends. Until that time everyone can bid each other and the person who bid the most when the timer is done buys the car. There is also the possibility to set two options at once, with the buyout price and the bid price. 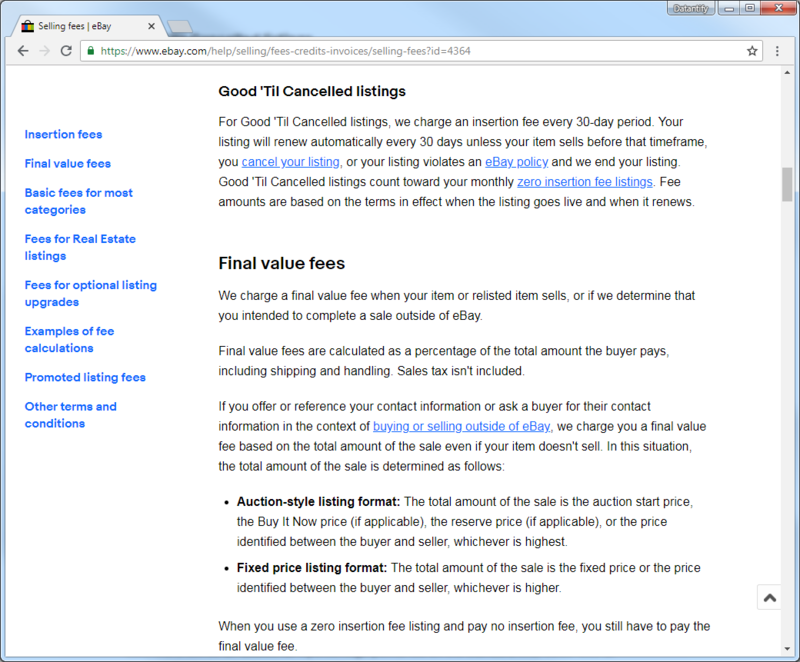 When it comes to the fees eBay has two types of it: the insertion fee and the final value fee when you sell the item. 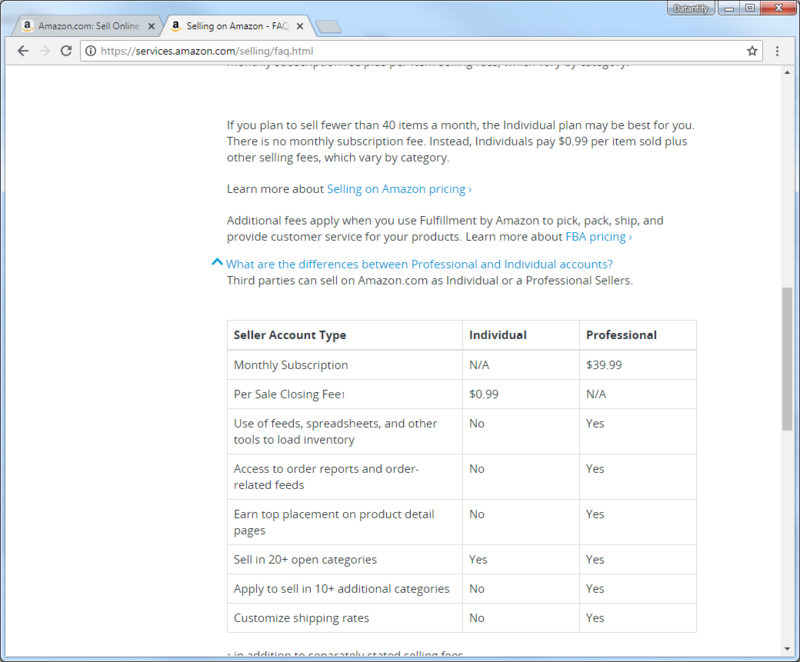 As with the Amazon, the fees vary on the category and per listing, and it is really hard to say how much it might be. Remember that the insertion fees are nonrefundable even if you don’t sell an item. The final value fee is calculated as a percentage of the total amount the buyer pays including shipping and handling without a sales tax. Ebay has really nice politics when it comes to the requirements. 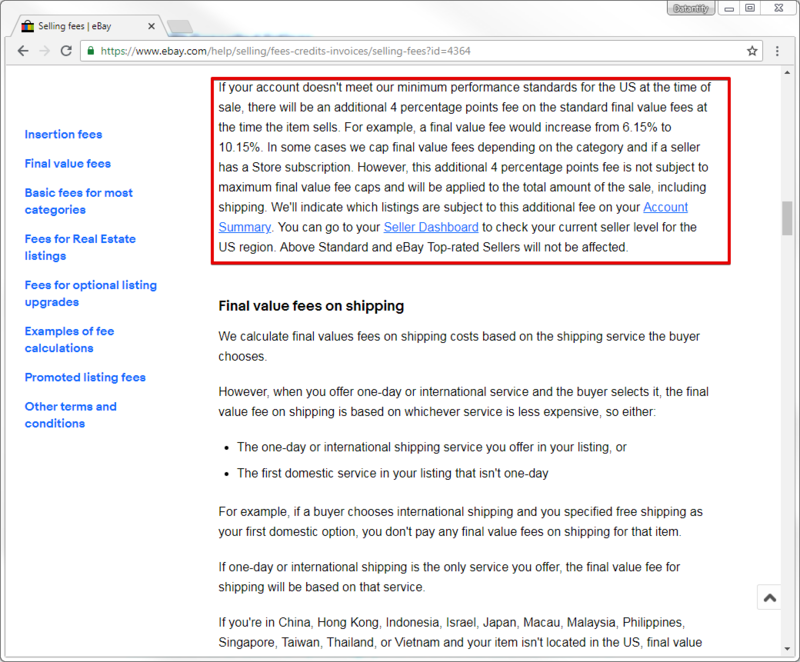 If your eBay account doesn’t meet the minimum performance standards for the US during the sale, your fee increased even by 4%! In my opinion, it is a really good thing which will make people more careful and professional when they sell the item. 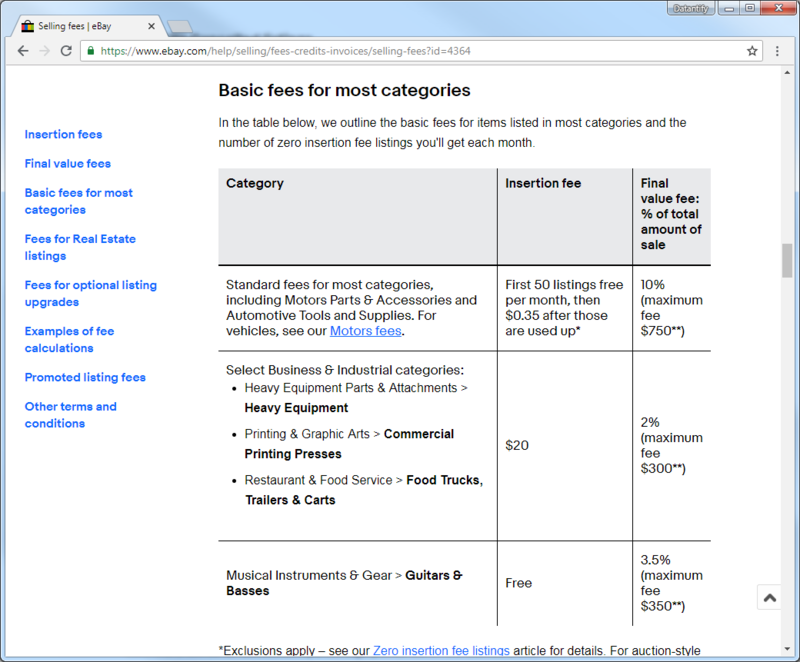 Ebay support also provides a little table with the insertion and final fee values. It is really good to know how much are they going to charge you when you sell an item. There is no doubt that the fee isn’t the lowest one, but it isn’t the highest one too. 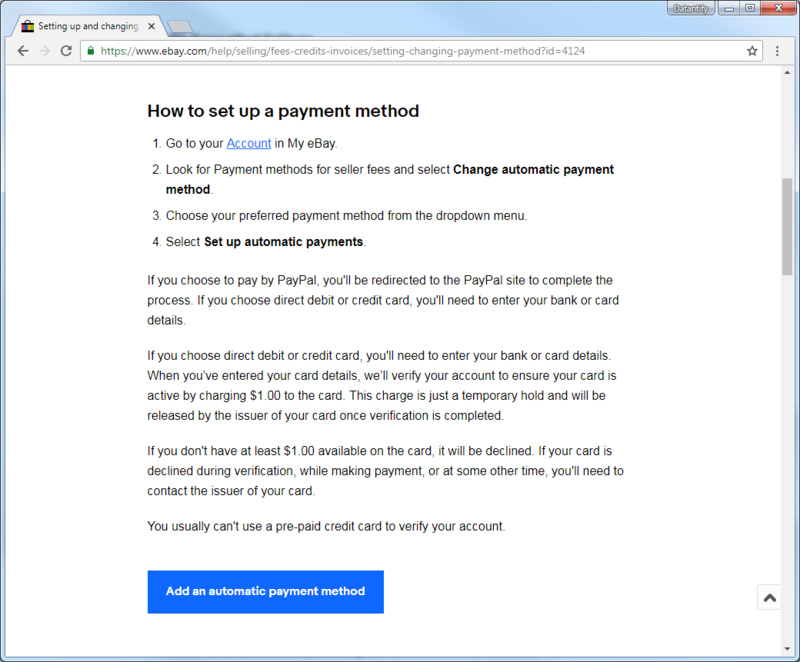 When it comes to the payments eBay really advice to use the Paypal which some people don’t really like, but there is also a credit card or direct debit option available but in this case, you need to confirm your credit card. Ebay will take 1$ from your card to check if it works and if you have at least that amount on your card. If they can’t get the 1$ from your debit card because it doesn’t work or because you don’t have that amount, your card payment method will be not approved. 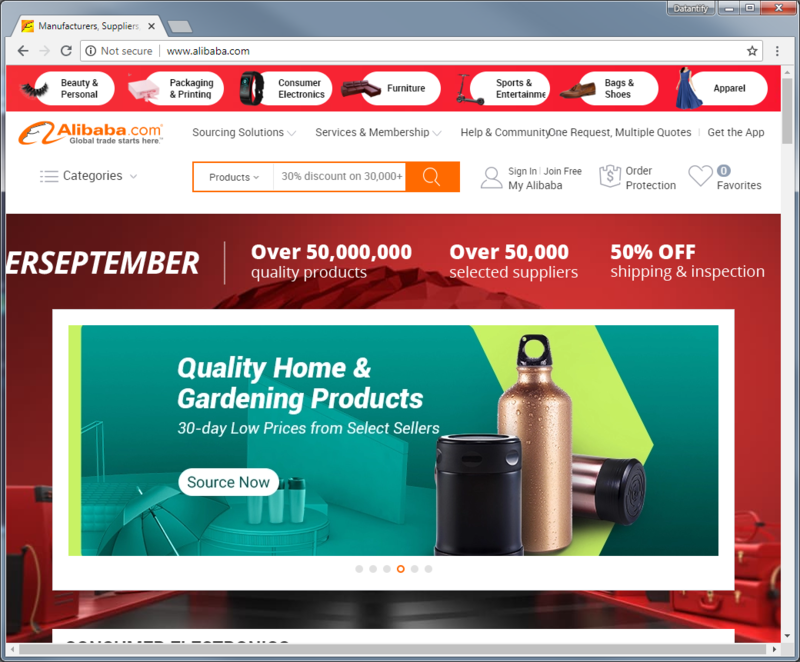 Alibaba group is the biggest Chinese commerce company and also they have one of the largest marketplaces online for the wholesalers. It is probably the biggest marketplace ever with over 550 million active buyers! This score is really terrifying especially when you know that the company was founded in 1999 so even later than Amazon and eBay. Sadly the website is mostly for manufacturers and suppliers so without your own company which is registered and then confirmed on Alibaba website you can’t sell the items. There is no way to sell products personally on Alibaba but it is also a great opportunity if you have a small business to boost your sales. It is also the biggest marketplace whereas a wholesaler you can buy almost everything you can imagine. 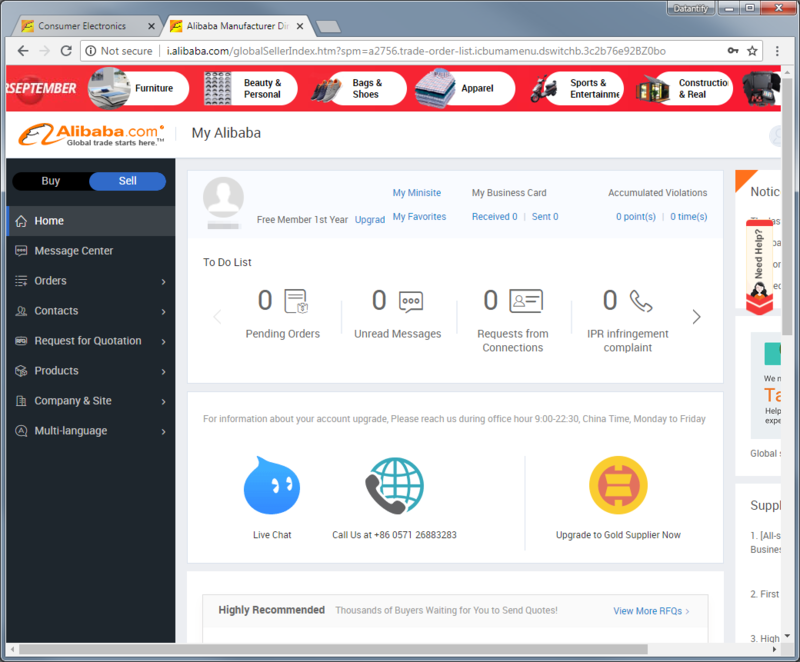 Alibaba offers also a great special dashboard to manage your sales. You can fast and easily check your orders, contacts, products and even more. At least for me, it is the most intuitive website to sell the items thanks to this great dashboard. 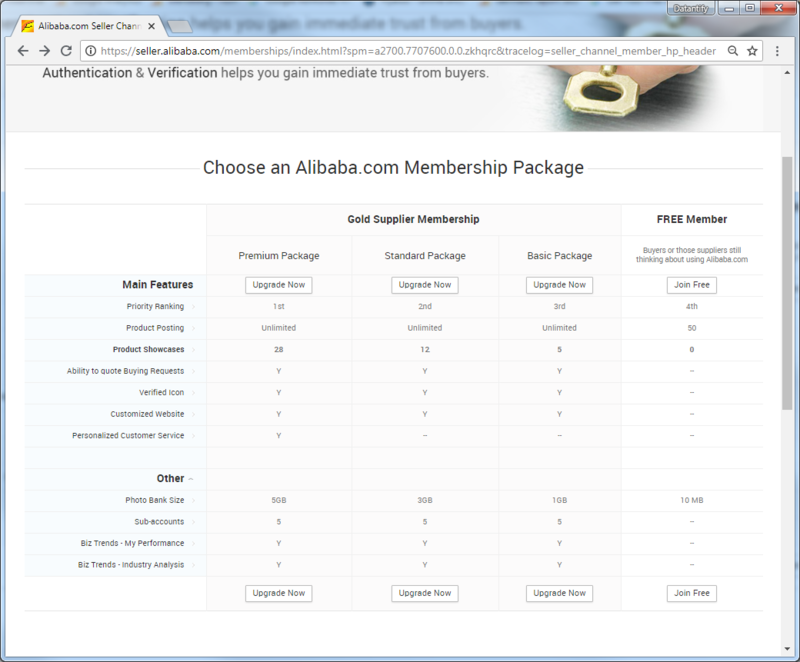 If you would like to boost your sales, even more, the Alibaba provides special membership packets with some extended features. Of course, they are premium so you need to pay for them, but sometimes it might be really worth. Check them on the screen below. Without the paid membership your product posting is really limited so if you want to use Alibaba for a long time you should buy the membership. If it comes to the fee charges you can’t really specify them, it depends on it how and where you deliver the goods because with Alibaba you can sell items to almost every country in the world! Etsy is a little bit smaller competitor to the Alibaba, eBay, and Amazon but still, it is one of the largest marketplaces to sell online. This eCommerce marketplace is also a little bit other than the bigger competitors because it doesn’t focus on the all the items to sell like other online selling platforms but on the handmade or vintage items and supplies. Sounds pretty interesting? It is, especially if you create the items on your own. Etsy was building its brand since 2005 and now with over 54 million users, it is probably the most trustworthy eCommerce marketplace for handmade items. Also when it comes to the fees it is better than its bigger opponents. 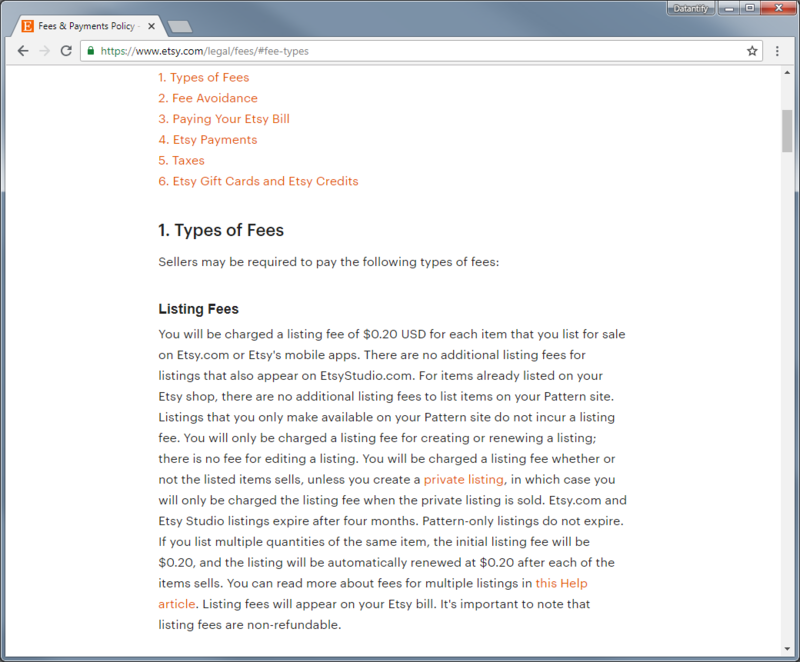 If it comes to the listing fees Etsy will charge you for 0.20$ per item listed. Now compare it to the Amazon who takes the 0.99$, but the difference is that Etsy will charge you regardless if the item is sold or not and Amazon only if the item is sold. Of course, there is also a transaction fee and in the case of Etsy, it is 5% of the displayed price + the amount you charge for shipping and gift wrapping. The good thing is that if you are from USA or Canada the fee will not apply to the sales taxes, and if you are not from these 2 countries the fee will apply to the listing price. 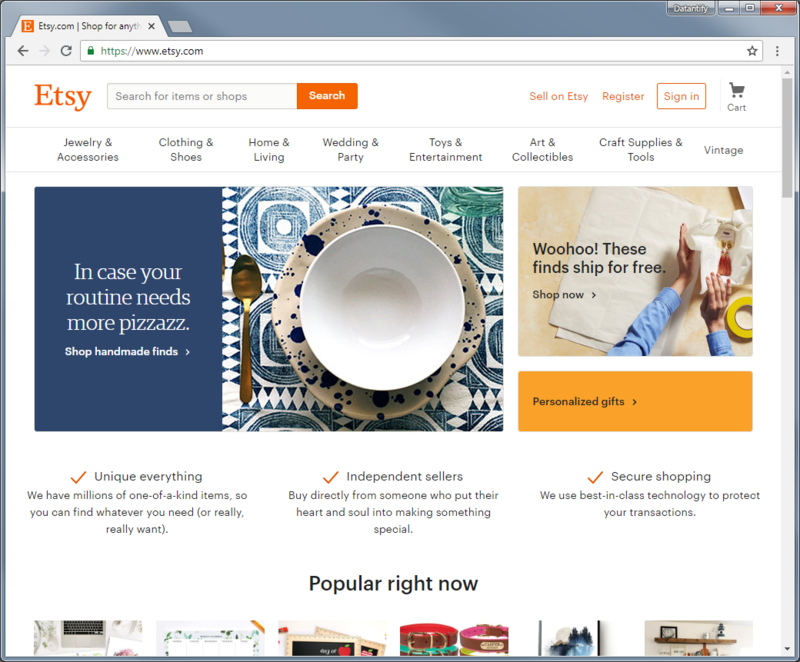 Etsy also allows users to buy a special subscription called Etsy Plus which offers many tools to boost your brand. Currently, it costs 10$ monthly but the website already announced that starting with a new year it will cost 20$ monthly. If you would like to read more about the Etsy fees you can find more information here. Remember all the users have a possibility to open their own Etsy shop and sell the items, but the website mostly focuses around the vintage and handmade products. Even if Bonanza was founded in 2008 (late compared to the previous ones) still it is one of the best places where you can sell your goods. Especially thanks to its really intuitive dashboard and overall website it is known as the most comfortable platform to sell online. It is even easier than Amazon and eBay, all effort is to click a few times on a button. 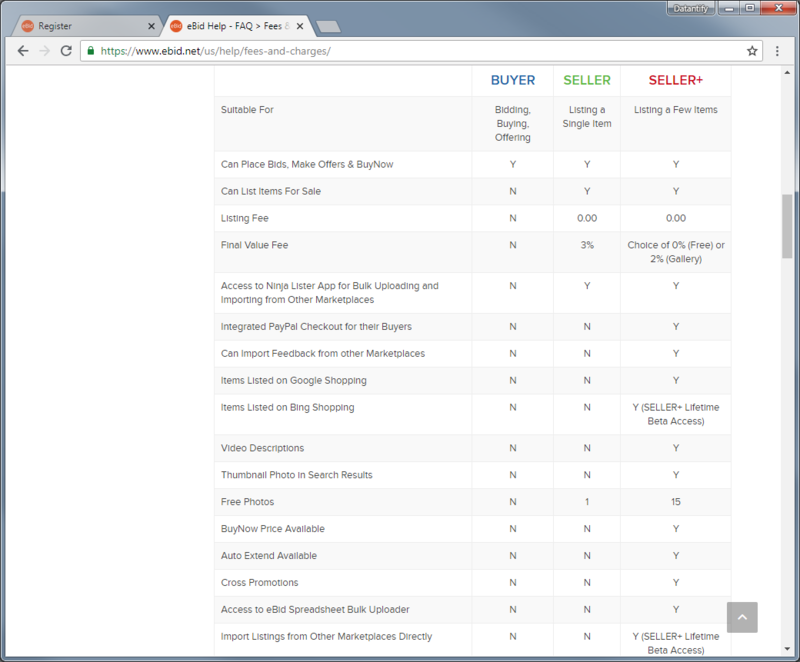 The dashboard is pretty simple and adding an item to your listing require pressing only one button. To be honest I haven’t seen the easier eCommerce marketplace. Even if Bonanza has “only” over 5 million visitors for a month still it is a really respectful number and it is growing every year. I would say it is the best place for small businesses or single person who wants to start selling goods through the internet. You might ask me – why? Because the fees are pretty low compared to the Ebay and Amazon. A fee for an item which you sold is mostly 3,5% but the minimum fee amount is a 0.50$. 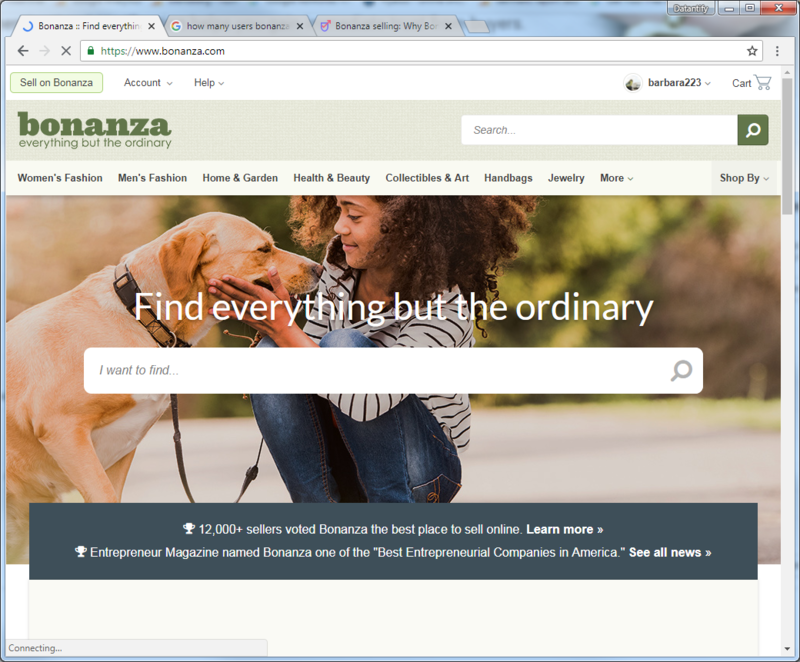 The creators of Bonanza describes it even deeper on their website. 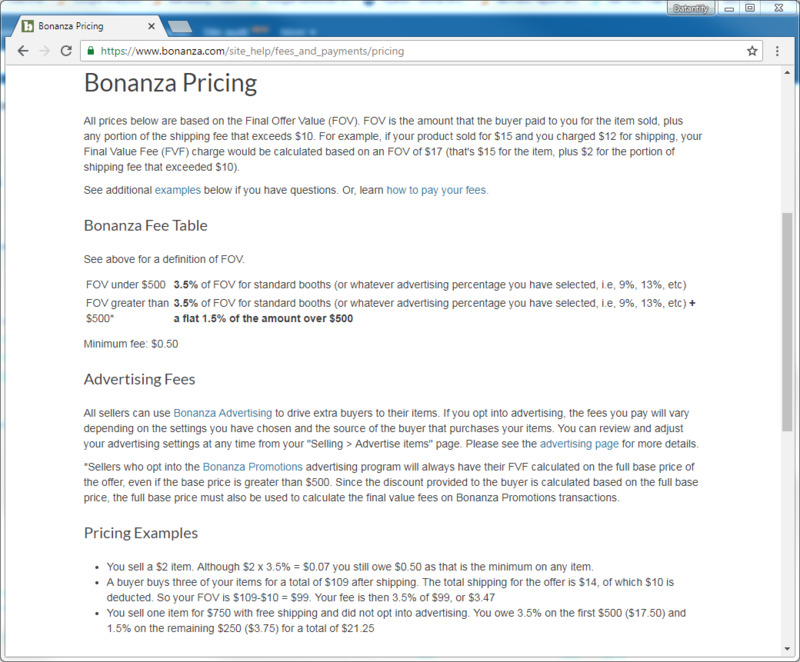 You can also notice their descriptions on the screen below so instantly you will know how much the fee from Bonanza might cost you. 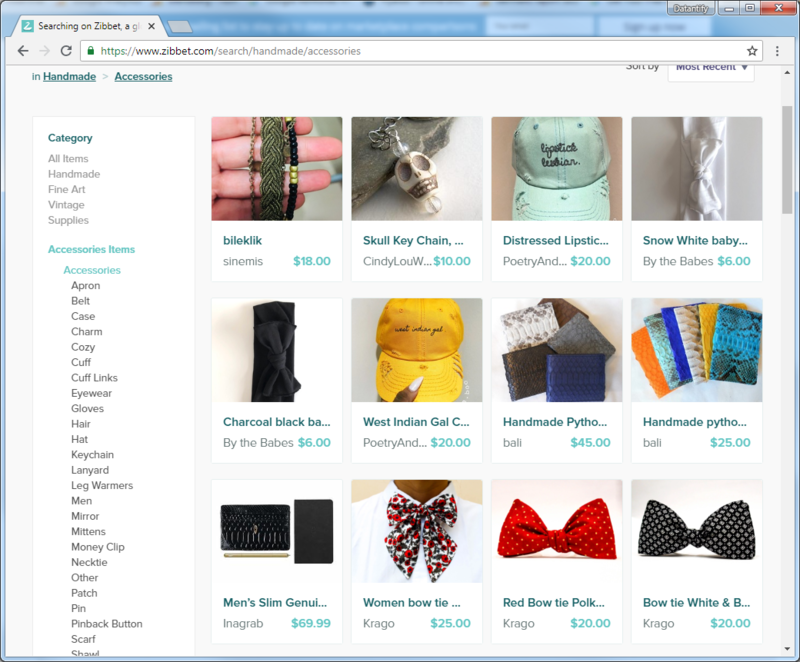 Zibbet is a relatively small marketplace mostly for handmade and vintage items. 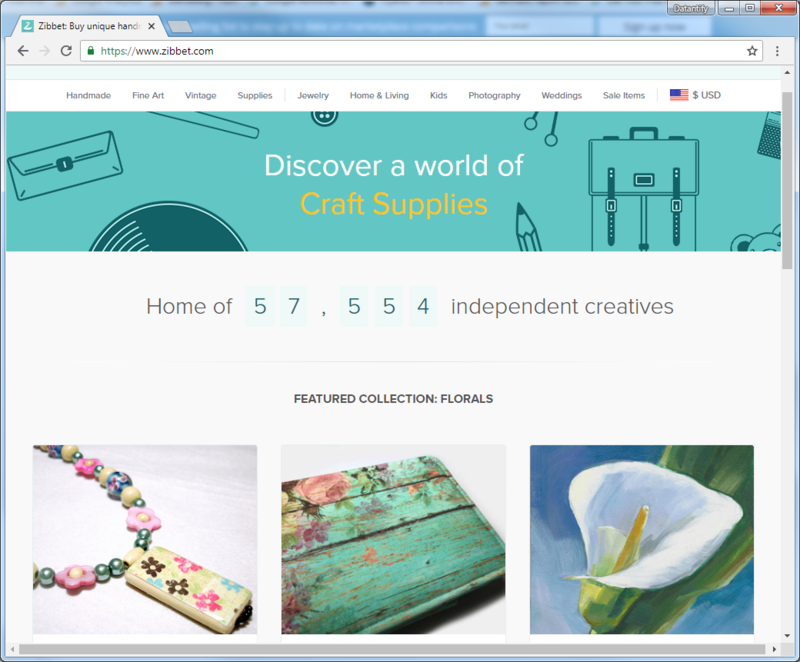 As the creators display on their website Zibbet is a home of almost 60,000 independent creatives who sell their items on this eCommerce marketplace. 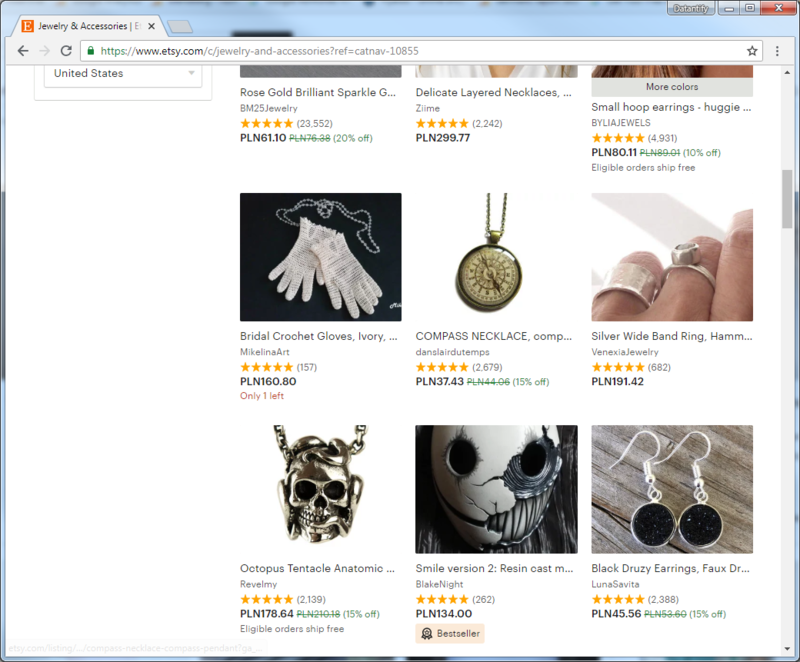 To open a store on zibbet you need to buy at least the cheapest packet which will allow you to list your items. Everything can be billed monthly or yearly (cheaper one). The prices aren’t high so everyone even a single person who wants to start selling his own good can afford it. 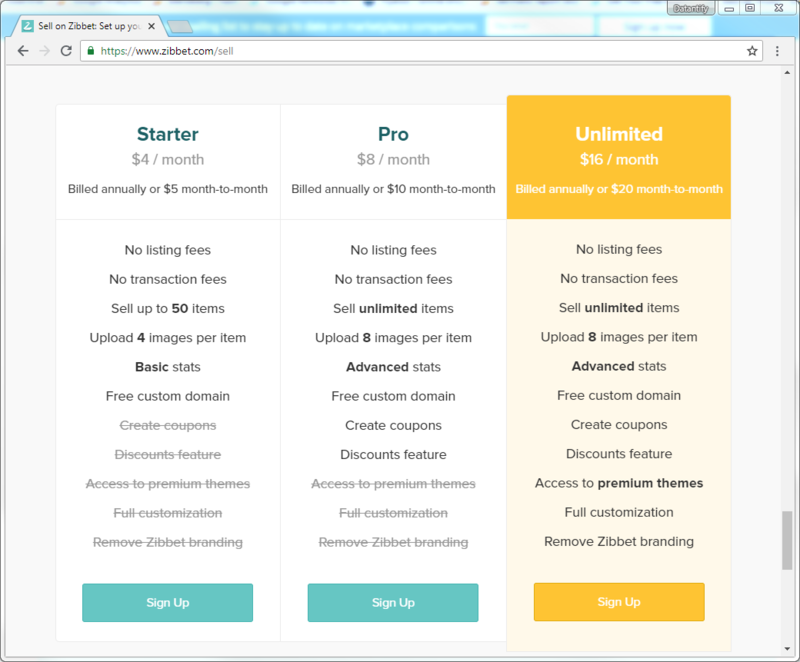 The best thing about Zibbet is that there are no fees! Buying a special membership is the only thing required as you can see on the screen above it says and there are no listing and transaction fees. Thanks to it seller can get all the money for himself. Of course, he needs to pay some amount of money monthly but it is nothing compared to the other fees of the bigger competition. 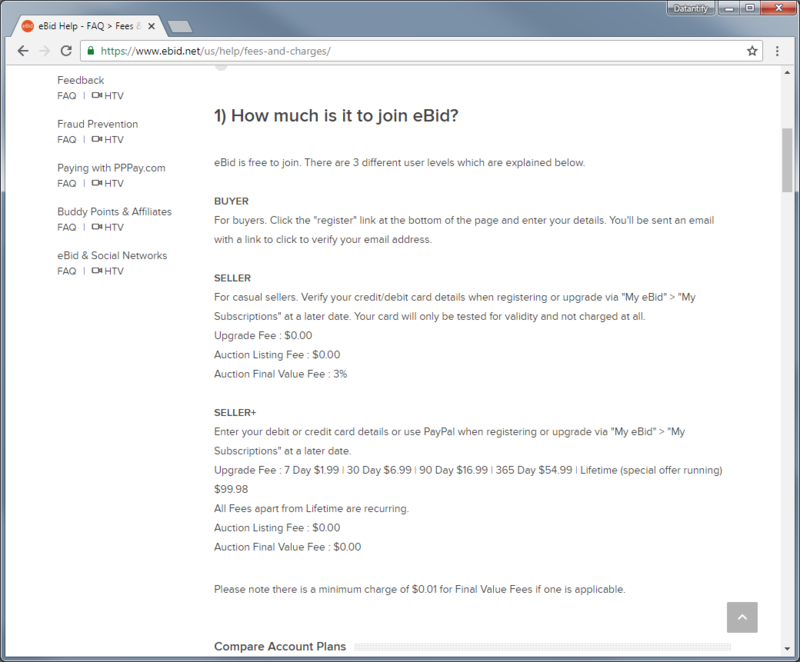 If you buy the more expensive membership you will be also allowed to customize your own store and remove the Zibbet branding. Zibbet is a really amazing option for all the people who want to sell their own handmade or vintage products. Thanks to it items also look more unique instead of like ones from the mass-production. If you haven’t known before where to sell online without any fees now you should be pretty sure that one of your potential choices will be Zibbet. eBid was founded in 1998 so relatively close to the Amazon and eBay. Also, it is one of the largest marketplaces to sell online which is growing year by year. Maybe it is not that big as Amazon but still, it has over 60,000 visitors per day. Like with eBay, you have a possibility to buyout item instantly or to bid it. It depends on how the seller lists his own goods. Sadly eBid not allow all the countries even from Europe to sell their goods, but over 100 countries can buy something on eBid auctions. Regardless of the countries who are allowed to sell an offer from eBid is really attractive to potential sellers. Why? Because there are no listing and transaction fees. 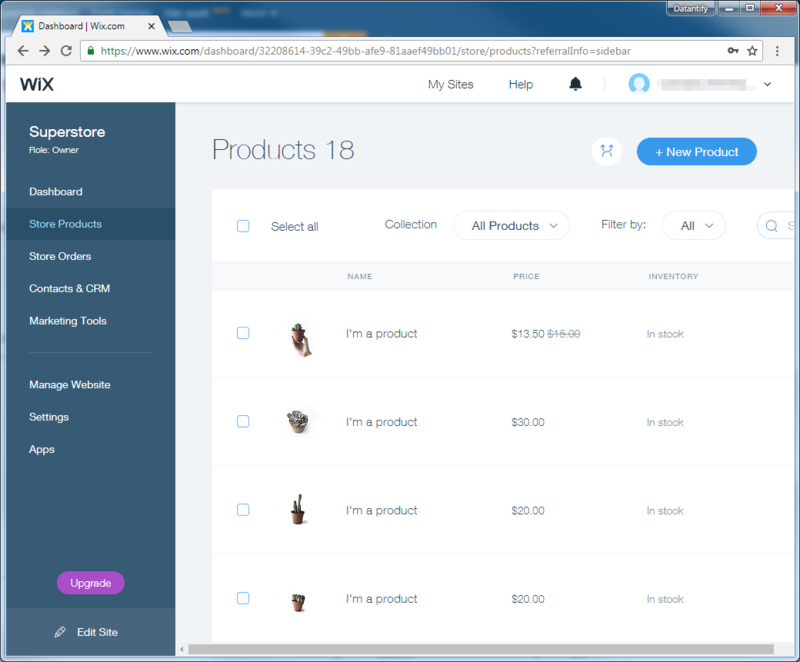 Like with Zibbet you need to buy a special subscription for a specific matter of time and then you can sell things on the eBid marketplace. Of course, the subscription without fees is for people who list multiple items. If you are just a casual seller who needs to sell only one thing you can do it for free, but then the fee is 3%. Still, it looks like a fair solution to everyone. If you sell a lot of goods the seller + subscription will be nothing for you compared to the e.g. Amazon fee. The only advantage I only see is that you can’t really sell the things across the entire world like in the case of Alibaba but still this online marketplace is one of the best one mentioned in the comparison. There are also professional eCommerce platforms which allow you to open your own online marketplace where you can sell your own goods. Mostly instead of fees, they have a special subscription plan with more or less extended features. 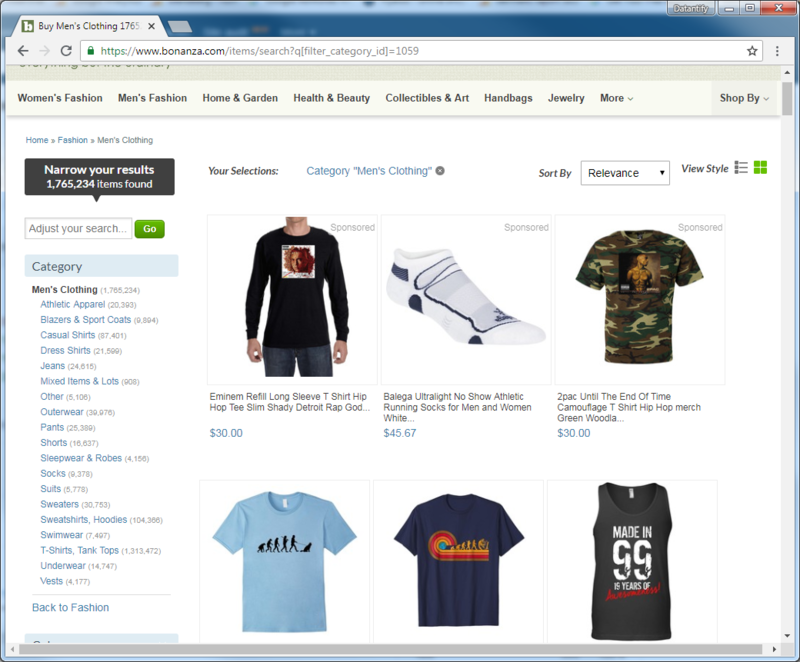 BigCommerce is one of the most popular eCommerce platforms. It allows you to build your own stores, and then add the products to them. The company was founded in 2009 and already is one of the leaders of eCommerce software next to the platforms like Shopify or Weebly. 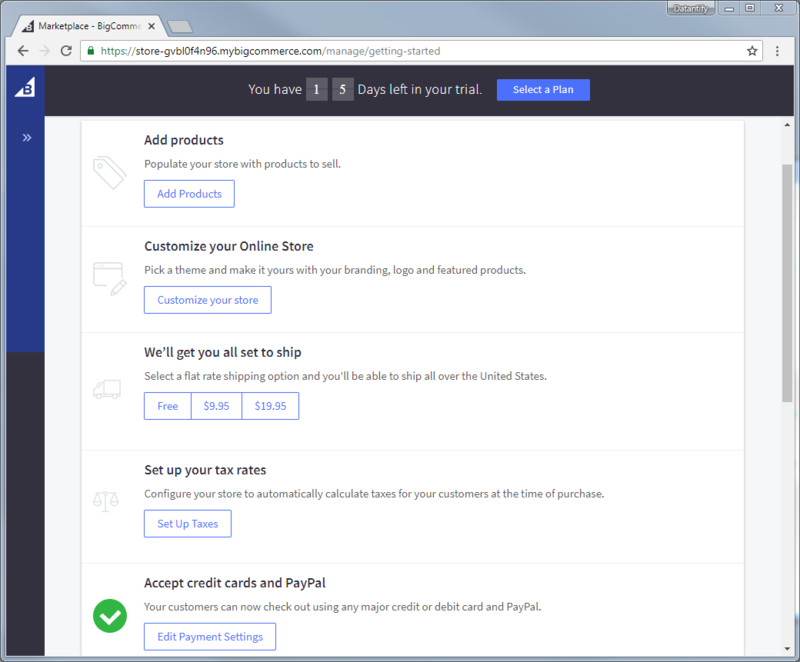 You can check every BigCommerce feature thanks to the available 15-day trial which does not require your credit card. Then you just need to give them your store details. 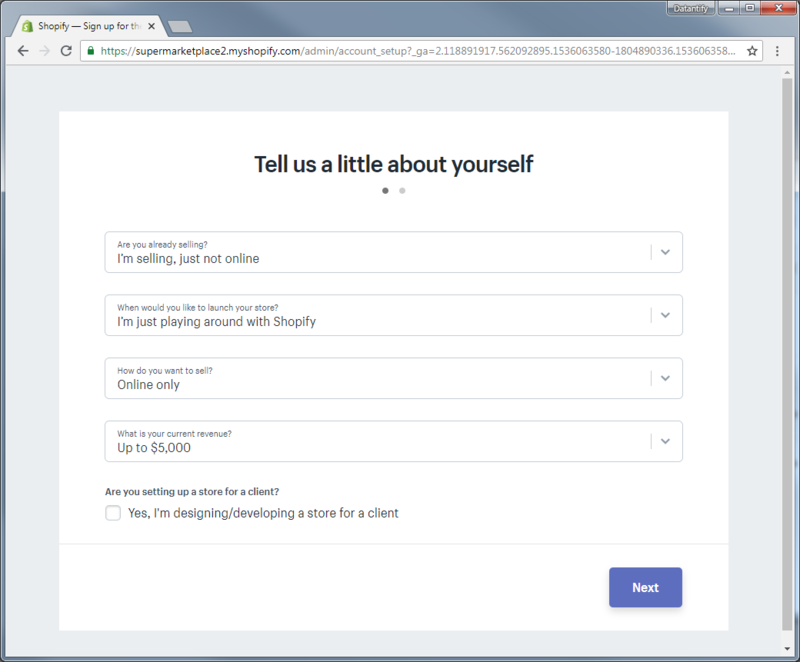 Once you bought a subscription plan or started a trial you marketplace should be created, you might notice a few additional questions about your business. Once you are done with the questions you can manage your own online marketplace on a pretty intuitive and easy dashboard. Also if you have some coding knowledge you can customize it for your own preferences but even without it, there are also graphical customizations. 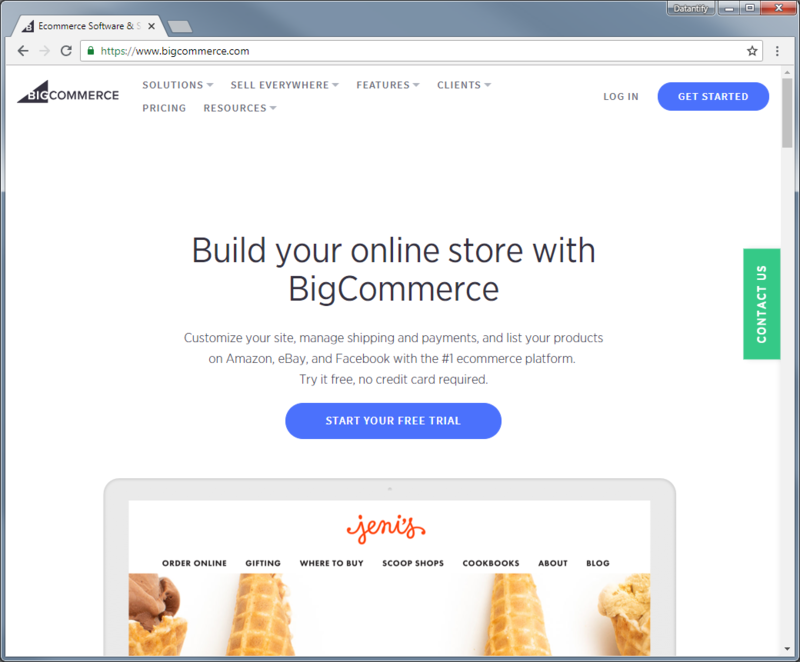 There are also a lot of guides provided by the developers of BigCommerce so you will be totally fine with creating your own place to sell online. 29.95 $ monthly – allows you to sell items on your own marketplace. 79.95 $ monthly – additional marketing tools which will increase your conversion and the visibility on the internet. 249 $ monthly – A lot of new features which might boost your online marketplace thanks to which you will get a nice conversion. Enterprise – Individual plan which you can set with the developers for your own preferences, the price is custom in this case. 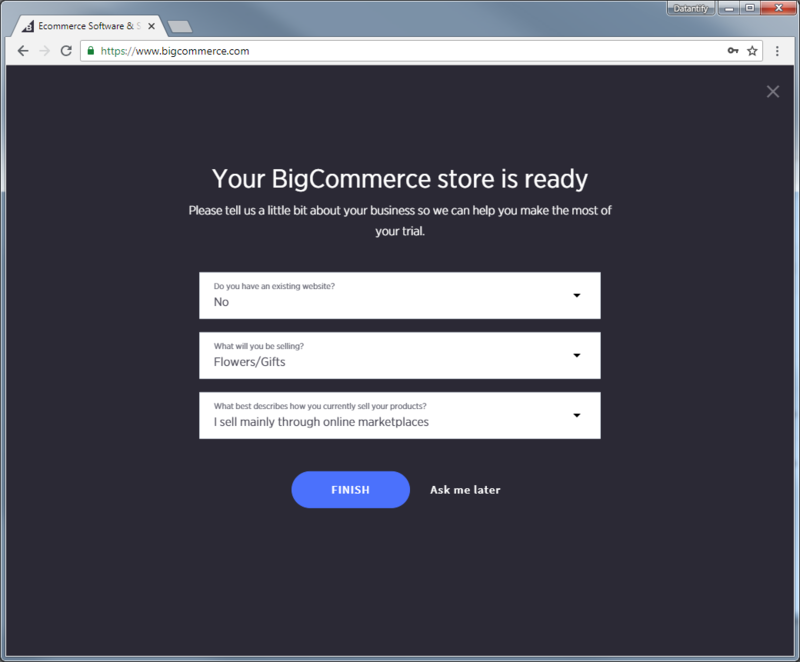 BigCommerce is a really good software to open your own online marketplace so don’t wait and try it out. Maybe it will be even better than the classic marketplaces which fees are not always the lowest. Shopify is another software which allows you to create your own place to sell your goods. This Canadian eCommerce company was founded in 2004 and became one of the largest eCommerce software in the world. Shopify just as BigCommerce allows you to create your own marketplace to sell on whatever (whatever legal) you want. 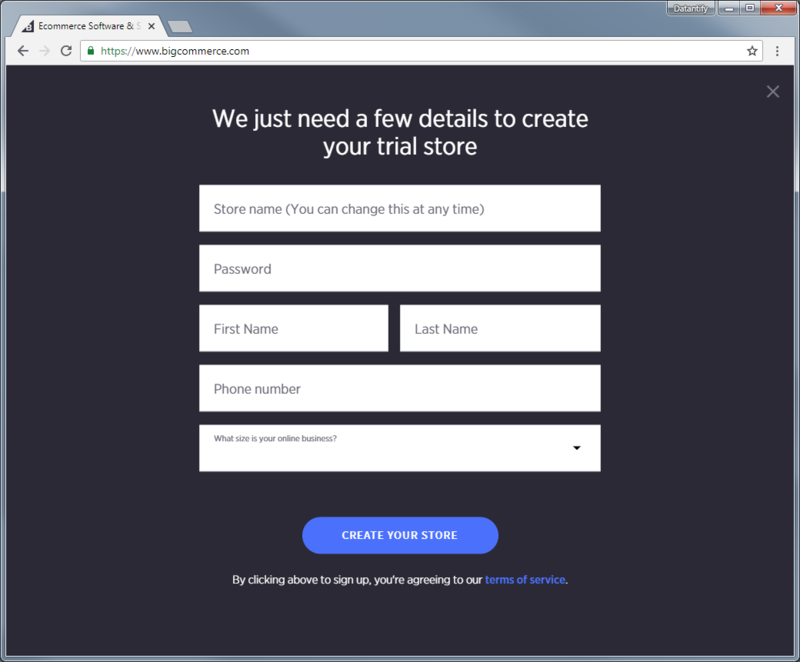 If you aren’t sure with the Shopify there is an available trial which gives you enough time to acknowledge with this eCommerce platform and see if it meets your preferences. Once you create an account you will be asked for some details about your business. 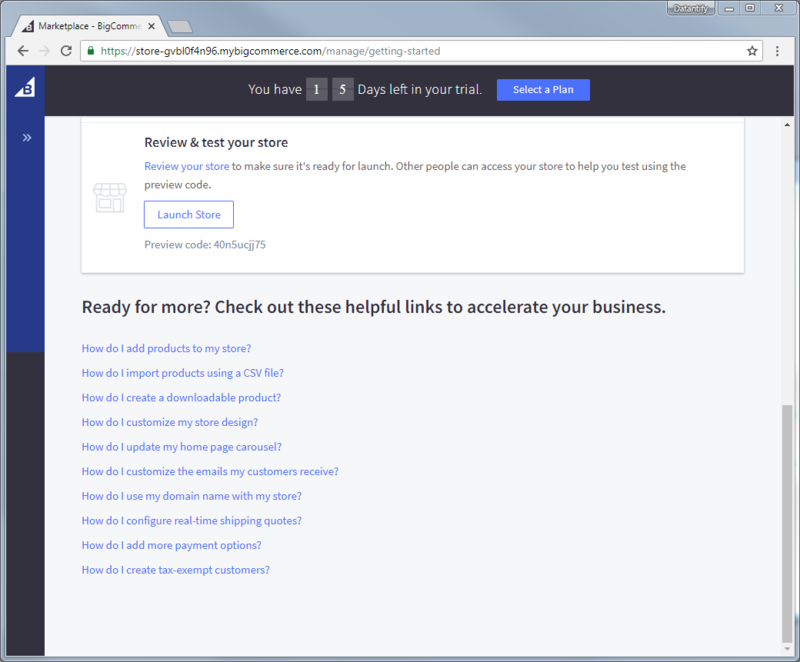 The dashboard of Shopify also looks really intuitive and shouldn’t cause any problem even for the beginners. 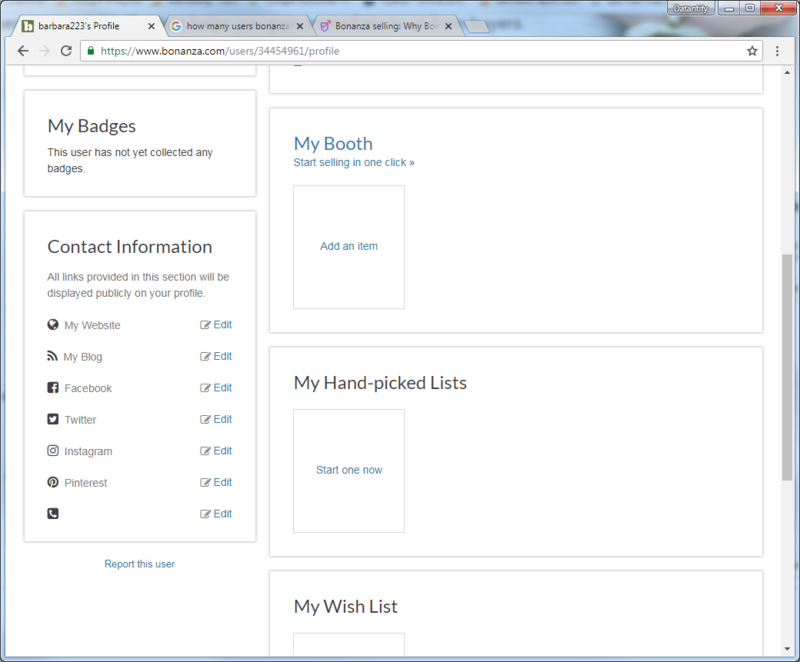 On the left side you can notice an expanded menu and in the middle of the dashboard you can add a product or customize your own theme. Shopify has many themes available, some of them are paid and some of them are not. 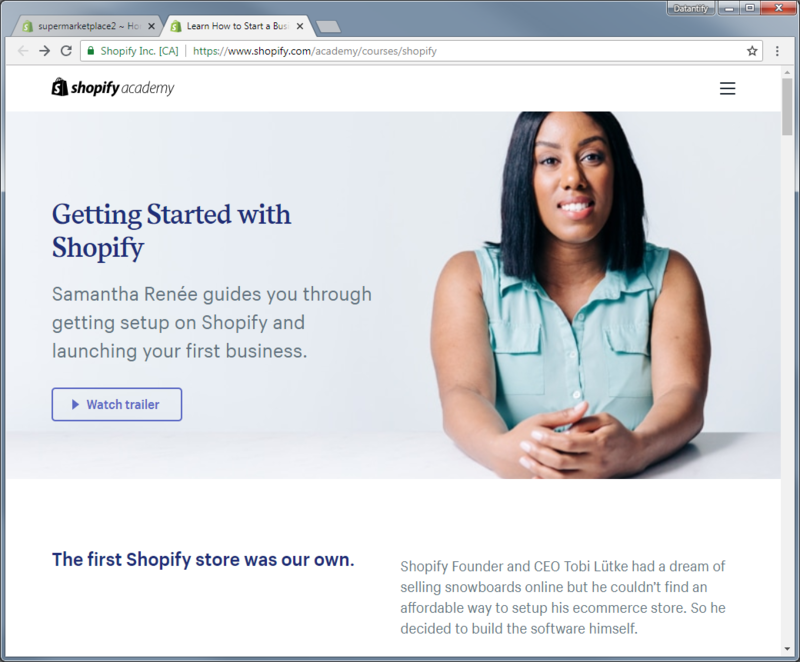 It is pretty easy and if still, you are going to have some troubles with the Shopify there is a special Shopify Academy which will learn you step by step how to create a perfect online marketplace on your own. If it comes to the pricing it is pretty similar to BigCommerce, you choose the most satisfying play for yourself. 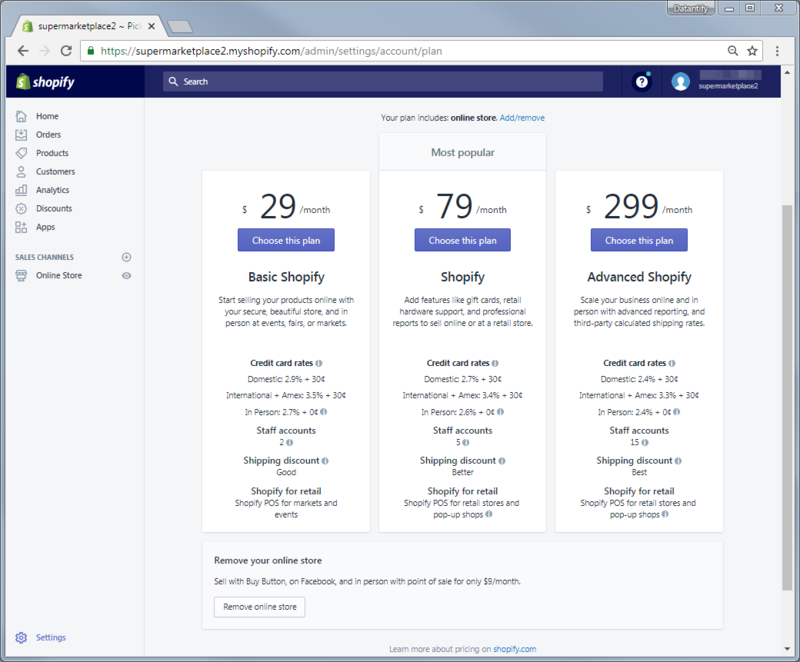 Basic Shopify (29$/mo) – a Basic marketplace with basic features like adding a product, setting its price, etc. 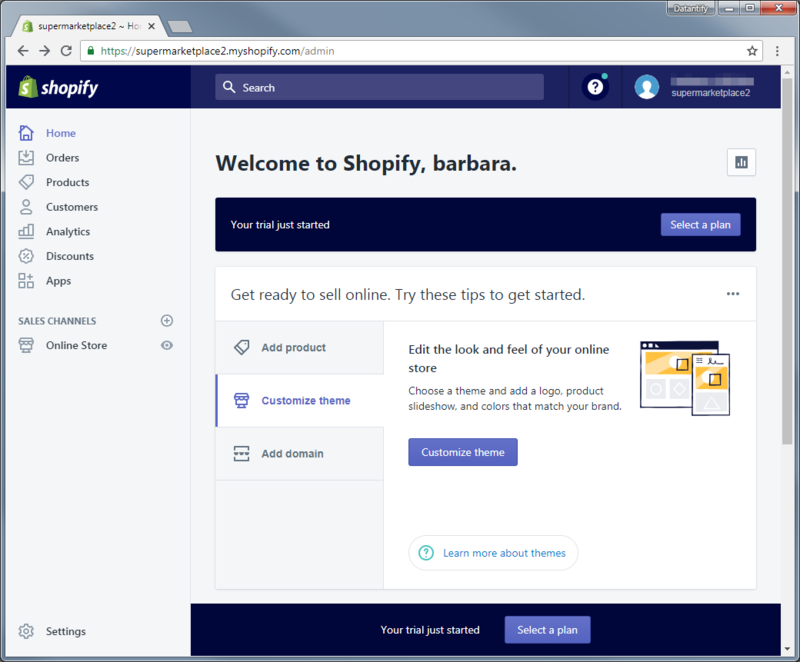 Shopify (79$/mo) – Allow you to use features like gift cards, retail hardware support, and professional reports to sell online or at a retail store. Advanced Shopify (299$/mo) – Special extended features including an advanced reporting and third-party calculated shipping rates. Shopify is a really good platform when you want to start running your own online marketplace to sell your goods, it also works well with your physical stores so if you have both, Shopify will be one of the best possible choices. Wix is an Israel web development platform which was founded in 2006. It allows not only you to build your own website in a few minutes but also to create your own store marketplace online. It is pretty easy to set everything up, you have even an available example in your dashboard to see how you should do it. Thanks to the Wix, of course instead of only adding the products you can manage your orders and contacts. 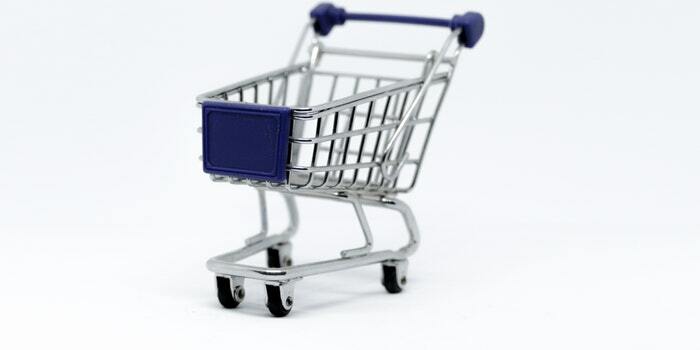 There are also available marketing tools which might boost your store sales. 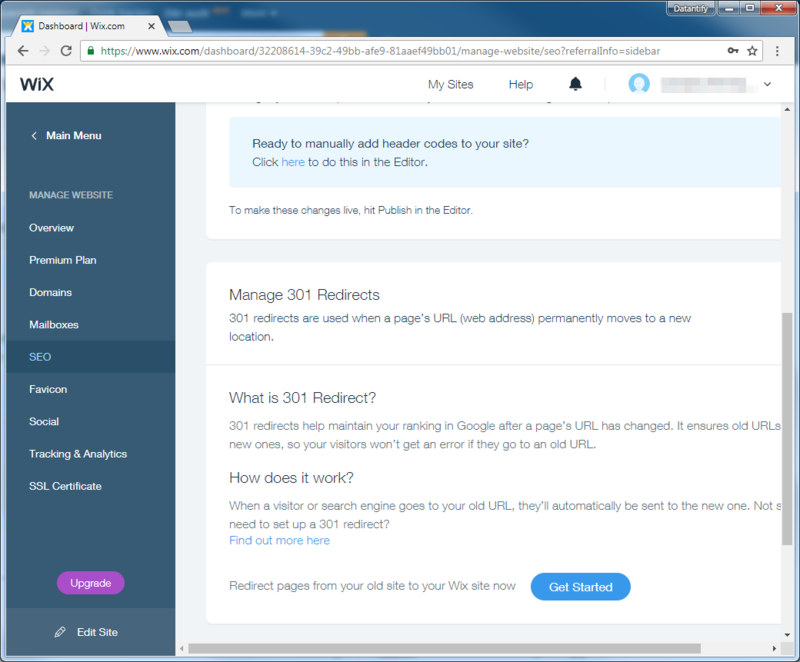 The web management feature provides many new possibilities to like, SEO optimization, social media, domains and even more. You can check it all up just after registering, so if you are interested don’t hesitate to create an account there. VIP (25$/mo) – offers a free domain, removing the ads, provides an online store, VIP support, priority response and much more. 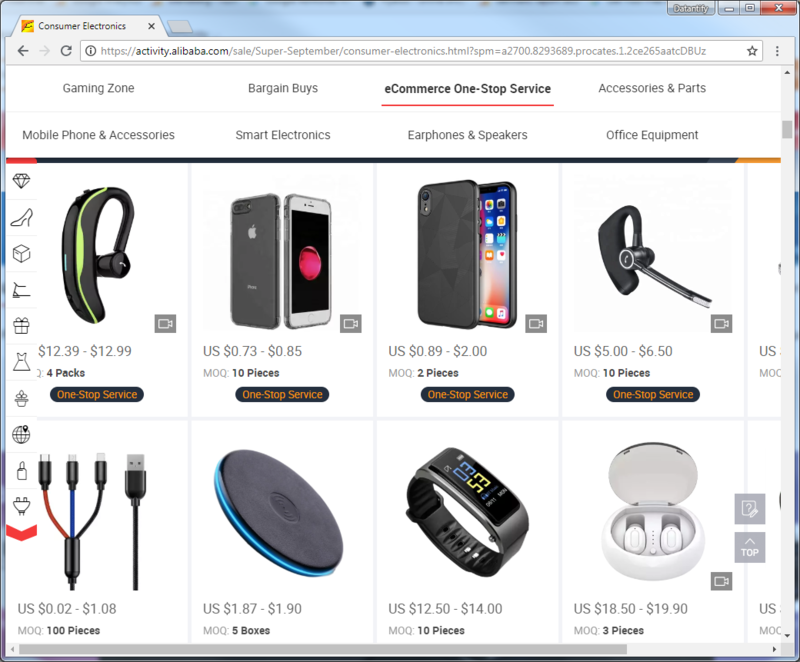 eCommerce (8.50$/mo) – Free domain, removing the ads, online store. 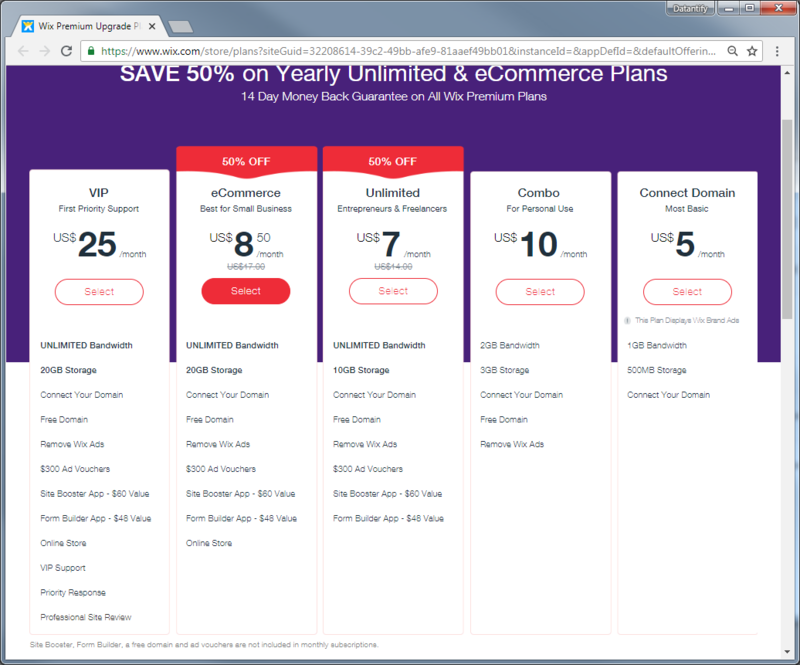 Unlimited (7$/mo) – The same as an eCommerce solution but doesn’t provide an online store feature. Combo (10$/mo) – Free domain, removing and 3GB storage. Connect domain (5$/mo) – Allows you to connect your domain to the Wix website. Wix is pretty competitive to the Shopify and BigCommerce so the choice depends only on a personal needs. If you would like to go the hardest way, but the way without any fees or subscriptions you can always code your own website or hire a developer who will code it. Of course, it also has some costs at least at the beginning. You need to pay for a developer and then to some marketing agency to optimize your website to be more visible in Google which will give you more conversion. Of course, if you can do it on your own it is really worth to have your own website. If you are not a coder or don’t want to hire a developer you can also learn fast how to create a basic website or online marketplace with CMS platforms like WordPress, Joomla or PrestaShop. It is much easier and probably cheaper than hiring a coder but we will leave a choice for you. Thanks to your own website also your only competition is the other websites from your niche, not every potential seller. Hopefully, thanks to our comparison know you know where to sell online. We have listed some classing marketplaces where you just list your item and pay the fee when you sell it and some eCommerce software which allow you to create your own marketplace with own domain and products. Both of the solutions are pretty interesting and fine when it comes to online marketing. The choice is only yours if you prefer the first option or the second one. Of course, you can use two options at once but it might be a little expensive, but if you want to maximize your sales it might be a good choice.